Wanna Get Spooked? “Forest Of Shadows” Is Waiting For You! | Sack-Vegas!!!! Wanna Get Spooked? “Forest Of Shadows” Is Waiting For You! 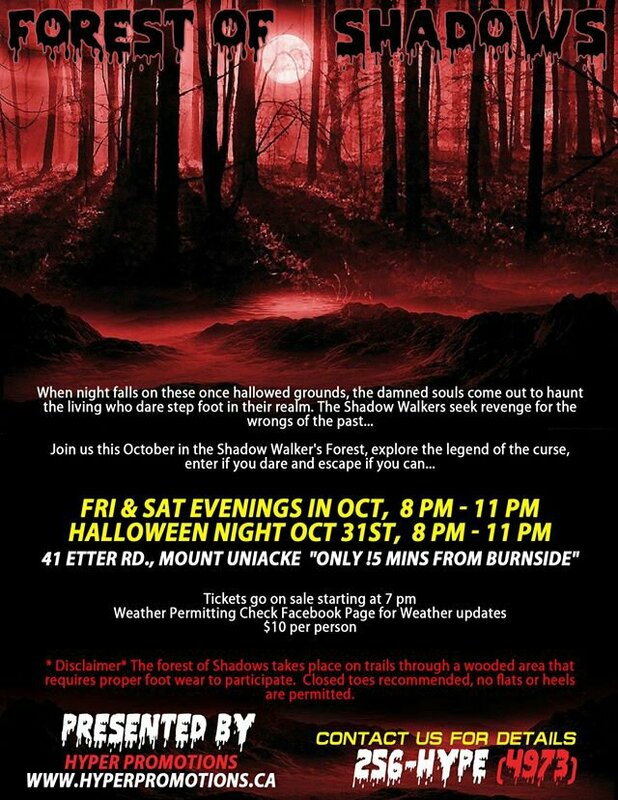 Posted by Sacky on October 10, 2013 in Community Events and tagged Forest Of Shadows, Haunted, Mt Uniacke.